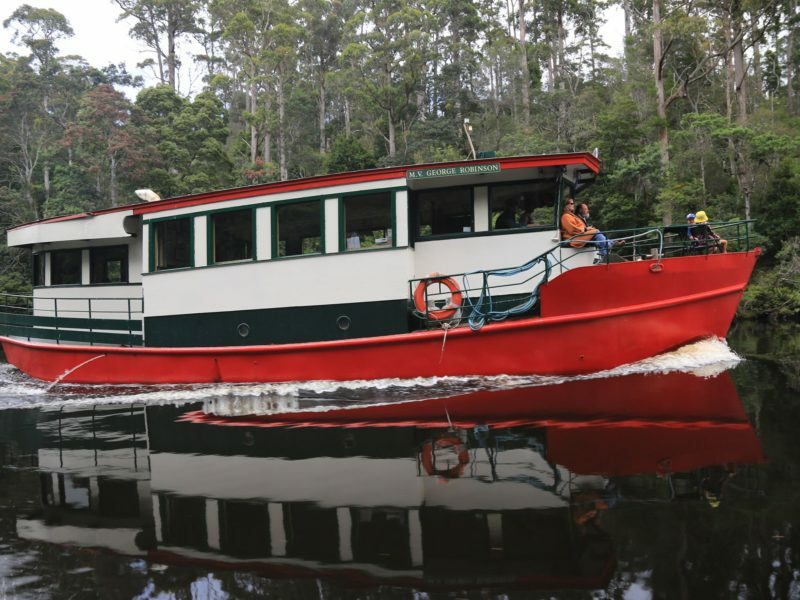 Experience Tasmania’s Tarkine Wilderness aboard the MV ‘George Robinson’ (the ‘red boat’) as she journeys 14 km up the Arthur River, a journey where you step back in time. This river is wild! It has never been farmed, logged, mined or dammed. 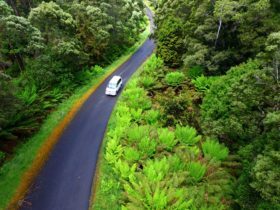 The surrounding landscape is pristine and changes from coastal heath to wet sclerophyll rainforest and then cool temperate rainforest. See outcrops of pre-Cambrian metamorphic sandstone that are millions of years old. The cruise is relaxing and fun, with a friendly and attentive crew. 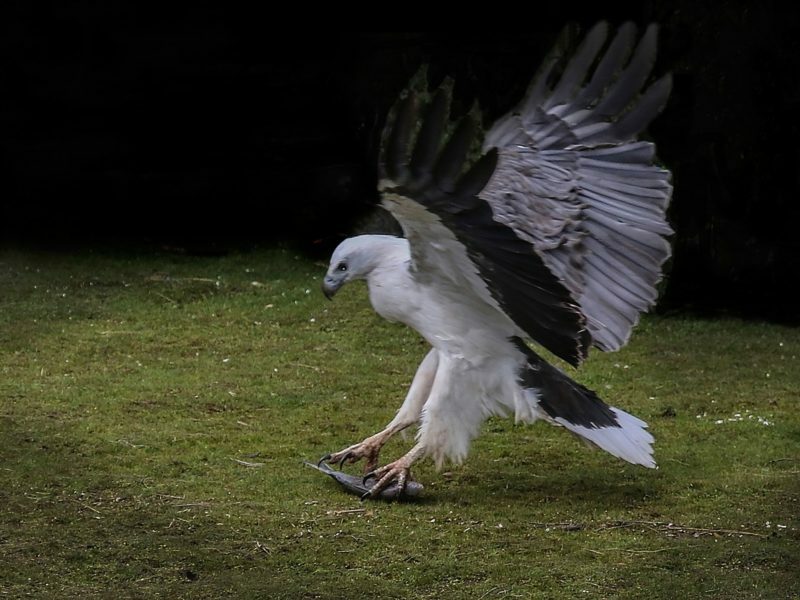 Watch the white bellied sea eagles swoop for fish. Listen to the birds. 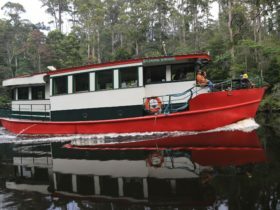 You may be lucky and spot an azure kingfisher or perhaps a platypus, spotted quoll or pademelon. Enjoy a barbecue lunch with wine amid giant ferns and ancient trees in the cool temperate rainforest. 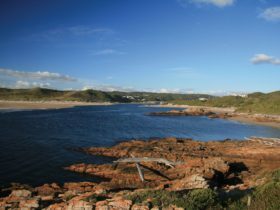 A guided walk informs you of the history of the area and its flora and fauna. The Tarkine Wilderness is unique. 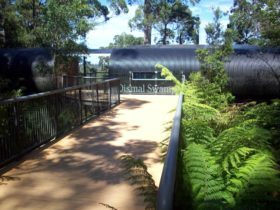 Be among the few who venture to the rugged north-west coast of Tasmania and be captivated by this special place. The MV ‘George Robinson’ departs from the mouth of the Arthur River at 1000 and travels 14 kilometres to the junction of the Arthur and Frankland rivers. It takes approximately 90 minutes to reach our destination, ‘Turks Landing’. On the way, white-breasted sea eagles swoop and pick up fish thrown by the crew. Morning tea is served and the skipper or tour guide gives an informative commentary about the changes in vegetation, from coastal heath, to wet sclerophyll rainforest to cool temperate rainforest. 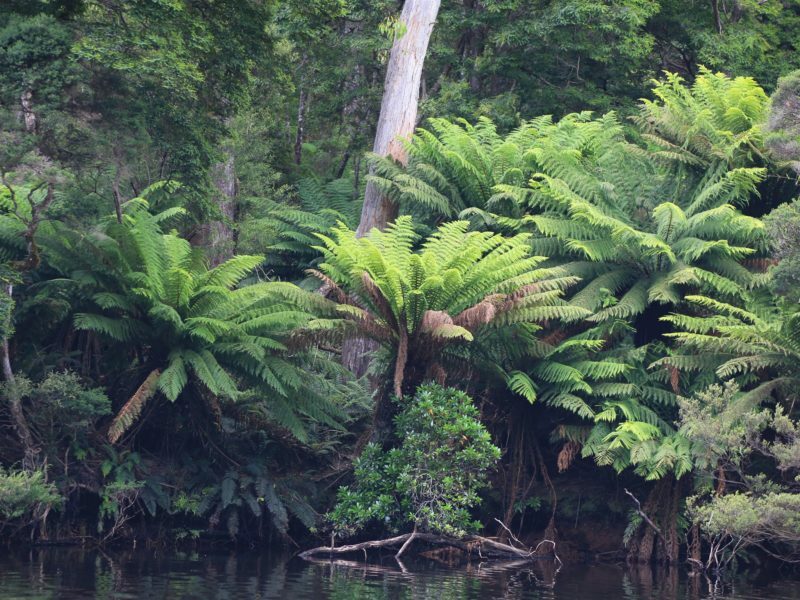 During our two-hour stop at Turk’s Landing, you can enjoy a guided leisurely stroll through the rainforest or relax in the protected barbecue area among the trees and ferns. A barbecue lunch with a selection of fresh salads, bread rolls and wine is included in the cruise fare. People who have cruised on the MV ‘George Robinson’ often comment that the mingling of the friendly crew and fellow passengers makes their day feel ‘just like a day out with family’. 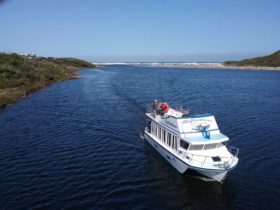 No matter what the weather (and we often experience four seasons in one day), a cruise with Arthur River Cruises is unique and unforgettable. The vessel returns to the Arthur River jetty at 1500.